FAQs about our hog roast services e.g. How long does a pig take to cook? GOT A QUESTION? HOPEFULLY THE LIST BELOW WILL HELP YOU WITH OUR MOST FREQUENTLY ASKED QUERIES. ALTERNATIVELY, DO PLEASE CONTACT US BY EMAIL OR PHONE US AND WE WILL BE HAPPY TO HELP. 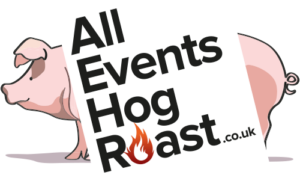 Can you provide a Hog Roast or BBQ for any event or season? Yes, our aim is to bring you and your guests a special hog roast or BBQ whatever your event or season. We will be happy to attend any family reunion, Bonfire Night celebration, Christmas Party, Birthday, Anniversary, Christening, School proms, Graduations, Corporate event, Garden Party or fun Barn Dance to name just a few. Do not hesitate to contact our team to talk through your event if it’s not listed here. We bring our own gazebos, together with tables and tables clothes, for us to serve your guests under cover against any unwanted weather. What is the cost for our hog roast, BBQ or additional extras? Our price depend on the numbers of guests, your choice of set menu, BBQ or additional extras. We have created an easy to use on line Quote Request Form. Please complete this and leave all your details. We will then be happy to customise a whole package for your event at a competitive rate. We always aim to get back to you within 24 hours of receiving your enquiry. We will stay at your event until you are happy for us to leave. It is important to us that your guests enjoy the whole hog roast or BBQ experience, so we will never rush the food. Our prices include travel costs up to 50 miles from our base in Swindon, Wiltshire. If you are out of this area, please contact us for further information on our mileage charges. What happens if a guest has a food allergy or food intolerance? Please let us know and we can help with any special dietary needs. Yes, we have vegetarian food options and a separate griddle to cook it on. We always keep vegetarian food separate from meat. Do you provide a site visit prior to the function? Yes definitely! It is important to us that we meet all our clients and they meet us too. 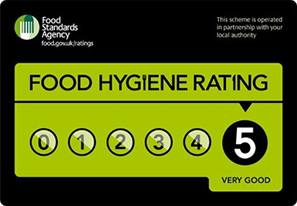 During this visit we will discuss any issues you may have, including final changes to the menu or guest numbers. We will check the accessibility for our equipment, the outdoor space area required for our equipment is (4m by 6m) if applicable to your menu choice we will require availability of a kitchen area 3 hours prior to the event for salad and canapés preparation. This allows us to keep you food as fresh as possible. We bring our own equipment and the kitchen will be left as found. What staff do you provide for my event? We use waiters or waitresses for some of our menu options along with our fully qualified chef. We can supply additional waiting staff (over and above on our menu options), but this will incur an extra cost (to be discussed). You are welcome to keep any leftover food, which we will happily place onto your own serving dishes and wrap. We will take away, and dispose of any un-wanted food items and packaging. Where do your pigs come from? All our pigs are locally sourced Gloucester Old Spot pigs, which are of the highest quality and purchased on the day of your event. Typically about 6 – 8 hours depending on the size of the pig. We cook all our pigs on the event site. What size are your hog roasters? Our hog roasting machines will fit through a standard doorway or garden gate. Can you serve the hog indoors or out? Yes either, providing that health and safety is not compromised. The entrance must be large enough to accommodate our equipment and there is enough space in the serving area to serve your guests in comfort.